After I stopped drinking, I thought it would be nice to try other natural remedies to relax, like essential oils, especially CBD oils and hemp extracts. I wanted to try something that wouldn't get me high, but somehow have a calming affect on me. I went out and purchased, Charlotte's Web Hemp Extract. There are three stages of the oil: low, medium and advanced. I tried two weeks on each level. I first found it relaxing. If I was experiencing a panic attack, it would calm me down and let me go back to 'normal' ---whatever normal is. So, I started using it every single day for two whole weeks. After two weeks, I stepped up to level two, and it helped again. After that, I went up to the advanced, and this is where I started to find out a few things about this oil and what it was actually doing to my body. I didn't know what was happening to me. I couldn't get out of bed. I was dragging my feet all over the place. Coffee didn't even hit the spot anymore. I felt like a zombie---or on the brink of coming down with the flu---but it was just fatigue. I wouldn't have thought it was the oil. I tried to convince myself that it wasn't, and that it was just my body fighting something off. Well, I skipped it one day and wow ---I was alive again! I'm not sure if the oil tinkers with sugar levels and puts people into hypoglycemia, but this is something to be concerned with. When taken daily, I even experienced episodes of passing out. No bueno! If you're like me, anxiety-stricken to where your throat feels like it's closing up sometimes, you're not going to like the feeling of this oil. 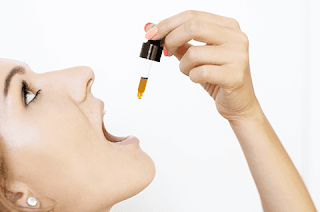 As soon as you place one dropper under your tongue, you have to then swallow it, usually followed by a glass of water. Level 1 and 2 always hit me the hardest. Level 3, not so much because it was at its purest. It feels like you're literally swallowing a pricker bush. Sometimes, I would have to drink up to two full glasses of water to get rid of the feeling. The company even explained that this sensation was harmless, but when you have anxiety, and this oil is scratching your throat and leaving it irritated all day, it'll grind on your last nerve eventually. Yep, I guess it's not a surprise that cannabis would give you the stoner look. My eyes were always tired looking and bloodshot. At first, I thought something was seriously wrong with my liver. I couldn't tell if my eyes were red or if they had a yellow tinge to them. But they were just red and the whites of my eyes were incredibly dim. So when I put on makeup, I had glassy red eyes that stood out really bad. Again, it's no big deal until you're trying to go to sleep and choking on your own saliva. I thought maybe I was dehydrated, which was making me drink ton of water, but it was the hemp. Keep in mind, if you're already on certain medications that give you this dry mouth effect, you may want to skip the oil if it bothers you this much. This would have to go hand in hand with the lethargy aspect of it all, but even worse. I had crying spells out of nowhere and mood swings that were something awful. I didn't want to leave the house at all. As soon as I finished work, I'd climb right back into my PJs and turn on Netflix. I didn't cook all that much, nor did I live stream my cooking shows. Something was off. I didn't feel well. I felt a sense of doom---a dread that was so heavy, like seeing life through a foggy window. But when I stopped the oil, the next day I was "awake" and happy again. I spoke to a few other friends who have taken this on a daily basis, all saying something very similar. 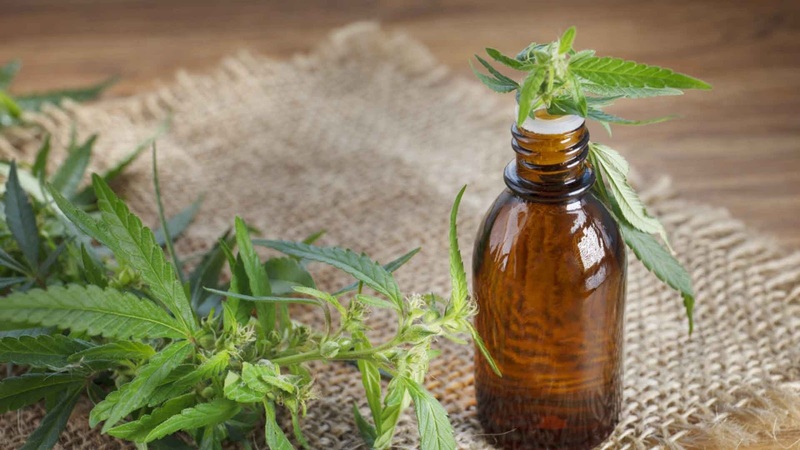 Keep in mind that they have to do more studies on CBD oils and hemp extracts. It's not regulated by the FDA, and for all you know, they can be adding fillers and other stuff we may not know about. It's a billion dollar industry that's cashing in by the second. They have pharmacies and health stores stocking up on this stuff. Amazon has them by the dozens with just one hit of the purchase button. Think: this is a good business to get into. But how pure is it? Why doesn't the FDA regulate it? So for now, I'm sticking with my other essential oils that have proven to be true blue, like my oregano oil mixed in with Vitamin D3. Please do your research before buying CBD oil. I did like it at first, until it started to really turn into something I didn't expect it to. Keep in mind, these side effects were all through my experience alone, with a few exceptions of my friends having to experience this for themselves. I went to the most reputable, to various other brands which all had similar reactions, or just no reaction at all. Sometimes, I just chucked it up to a placebo effect. You do not feel anything once you ingest one dropper. You may feel 'back to normal' --- but it does not help with joint pain nor does it help with any sort of pain---period. At least for me it didn't. Without the THC, the CBD is just the "club soda" to your vodka.